We Specialize in Rotary Watch Battery Replacement! Did your favorite Rotary Watch stop running? We know the feeling, but WatchGnome is here to get your watch back up and running. WatchGnome is America's #1 mail-in watch battery replacement service. Now you don't have to take your watch to a fancy jeweler to replace the battery. WatchGnome specializes in fast, easy and affordable Rotary watch battery replacement. 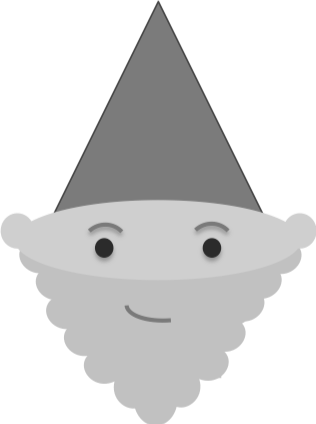 WatchGnome handles the whole process for you and you never have to leave your house. Pack it up: Just pack your Rotary watch up securely. 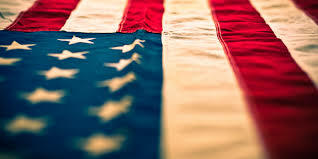 Place the USPS first class label on the box and drop in any mailbox. Replace battery: We get your Rotary watch back to our workshop and change out your old watch battery for a fresh new one. Then we polish it up & set the time. You'll get your Rotary watch back in just a few days without ever having to leave your house! 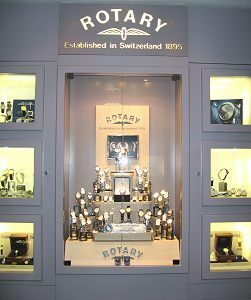 Rotary is the oldest family owned and run Swiss watch company. Founded in 1985 by Moise Dreyfuss in the Swiss town of La Chaux de Fonds, Rotary watches were very quickly a success due to their beautiful, timeless elegance and detailed design. In fact, after moving the Rotary headquarters to the United Kingdom, Rotary became the official watch supplier of the British Army in 1940. 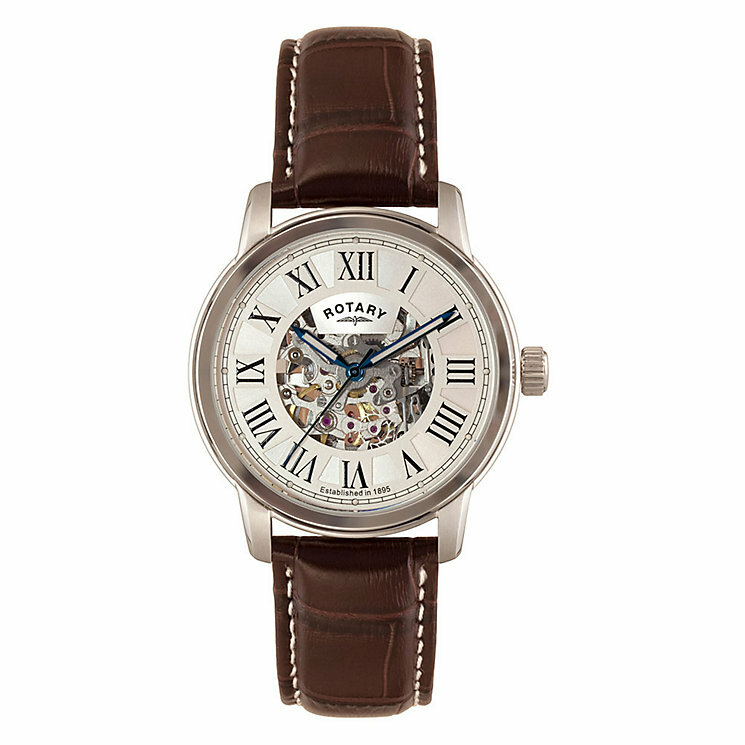 Rotary watches come in a variety of styles, including dress, sport, luxury professional, and the revelation line - a feature unique to Rotary. All watches in the Revelation line are reversible. They have two different movements and faces so that customers can switch off. This can be useful when traveling between two time zones or when you want the flexibility of sporting two different styles. WatchGnome is proud to offer Rotary watch battery replacement. We love their products and are always excited to see one arrive in our mail order watch battery replacement boxes!